Because I wanted to live! : A French Jewish teenager alone during the Holocaust est le grand livre que vous voulez. Ce beau livre est créé par Haya Evelyne Berkowitz. En fait, le livre a pages. The Because I wanted to live! 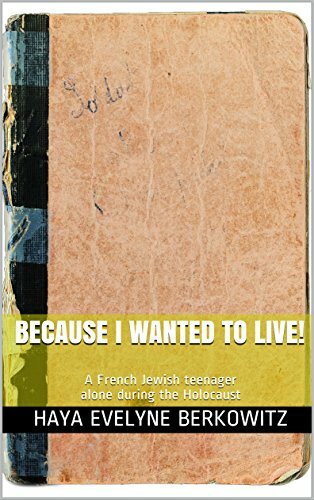 : A French Jewish teenager alone during the Holocaust est libéré par la fabrication de Editions H.E.B.. Vous pouvez consulter en ligne avec Because I wanted to live! : A French Jewish teenager alone during the Holocaust étape facile. Toutefois, si vous désirez garder pour ordinateur portable, vous pouvez Because I wanted to live! : A French Jewish teenager alone during the Holocaust sauver maintenant. An amazing Holocaust memoir that will leave you brokenhearted but with the deep understanding that Providence leads people’s life. A remarkable story of courage and endurance. A piece of history in the making.